A funny thing happened to the unprecedented multi-year bull run in biotech this past summer: it ended. The parade of IPOs and sky high valuations have come to a halt; biotech startups will have to adjust accordingly. Drug companies have become a target in an election year as the pricing debate has taken center stage. Yet biotech innovation continues apace, particularly in Boston, and venture firms are flush with cash to support it. Cambridge has become a hub for a new type of gene editing system that may soon reach human clinical testing. Researchers continue to unlock new ways to harness the immune system to battle cancer. Investments in neuroscience have picked up, as have forays into the intersection of technology and healthcare. More updates are coming, so stay tuned. But grab your tickets here—you can save some cash if you take advantage of our early bird rate and register before next Wednesday. 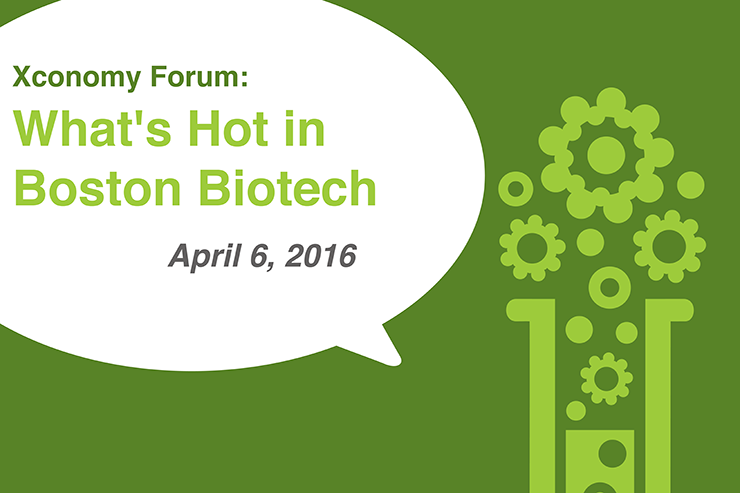 See you all at Biogen on April 6.